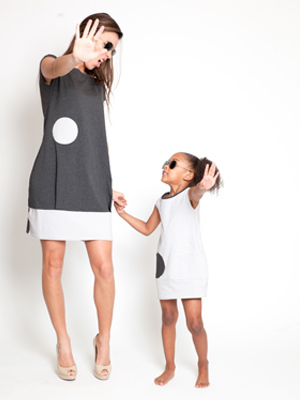 This is my favorite travel dress, in winter over a turtle neck and tights, or in summer sleeveless, Adele is sure to be a favorite! 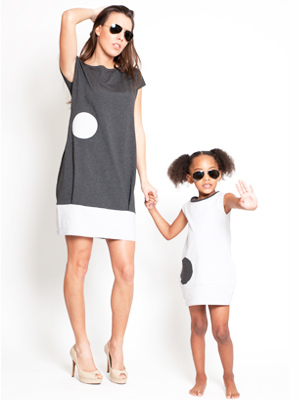 This sleek charcoal rayon knit dress features short kimono sleeves, a banded hem and contrasting gray dots. Comfortable and feminine, this dress is sure to turn heads no matter what the occasion!